Your IP address is your digital fingerprint which reveals information like your location (including City, State and Zip Code), your internet service provider, what browser you are using, and much more information. Using a VPN service will help you hide your IP when you go online and your information will be private and secure. 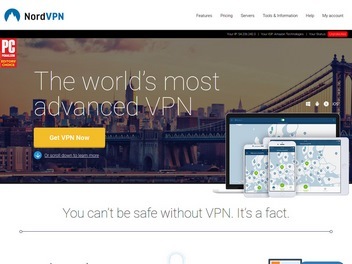 A VPN service will give you an anonymous IP and help you browse the web privately. VPN service will protect you from Hackers, Snoops, and companies following all your digital footsteps. VPN's are very easy to use and anyone can use a VPN. Please visit our VPN set up tutorials page to see videos on how to get a VPN and start using it asap. The public WIFI connection is unsecured and it only takes a second to get hacked. You expose all your login details to your emails, credit cards, bank accounts, etc… Using a VPN can help you protect your data and keep your connection secure. If you travel all the time and you are using public WIFI’s in hotels, coffee shops, airports you definitely need to get a VPN. The benefits of a VPN for travelers are endless from encrypting your information to getting access to your favorite content without being restricted because you are overseas. Unblock Content and Apps from all over the world! Using a VPN will allow you to access content and websites from all over the world. Websites restrict user access by Geo filtering your IP and only allowing you to access content that is allowed for your country or region. VPN’s will also help you privately connect to your favorite social media sites at work, and music streaming apps. Apps restrict access to certain countries and regions and VPN services will help you connect and use apps. VPN software can help you access your content safely if you are travelling overseas. Identity theft is on the rise and out of control. Protect yourself by using a private VPN that has your connection online encrypted so that none of your sensitive information can be compromised. VPN will give you anonymity from online hackers trying to steal your info and data. A VPN service can protect you from hackers, snoops, and other companies trying to monitor everything you do when you are online. Online privacy is your right and you have to protect it. You also have to protect your sensitive information including financial accounts, social security numbers and other pertinent data that can bring you financial disaster if your information fell in the wrong hands of a cyber criminal. The top VPN companies are huge advocates for online privacy. You can protect your privacy and encrypt your information on most devices including Windows, Macs, IPhones, IPADs, and Android devices. ExpressVPN has a great library of video tutorials on Youtube that can help you get answers for all types of questions and get ExpressVPN up and running on all your devices. This video will help you setup ExpressVPN on a Windows 10 computer. You can also use ExpressVPN on older Windows 7 and Windows 8 PC’s. The installation process will be a little different but the steps will be the same. You can use ExpressVPN on multiple devices including mobile and tablets. This tutorial will help you install ExpressVPN on a MacOS 10.10 or above. You must already have an active ExpressVPN subscription to install on your mac. You will need Android 4.0 or above to install ExpressVPN onto your device. You will also need an active ExpressVPN account to install on your Android device. The video tutorial is for installing ExpressVPN on an Android device using the APK method. 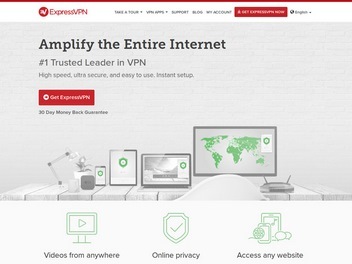 As always you must already have an active ExpressVPN account to download. This video tutorial is for setting up ExpressVPN on devices using iOS 9 or 10. You can use ExpressVPN for iPhones, iPods, and iPads. NordVPN - an easy to use, intuitive and modern VPN solution. Over 50 countries to choose from! That means 50 more opportunities to route your traffic to a secure internet location. This allows you more security, privacy and of course anonymity. 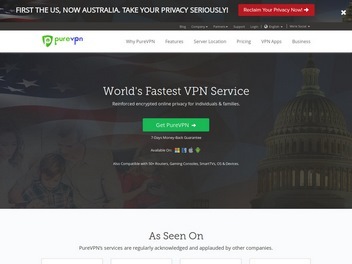 PureVPN tutorial is a step by step video guide on setting up PureVPN on your device and actually using it to stream videos, unblock content, set up private browsing, increase security, and file sharing options. PureVPN is very easy to set up and use on most devices and their member dashboard is very user friendly. This tutorial is for installing IPVanish for your Windows. The installation process takes less than 5 minutes and is very easy to use once installed on your device. The user interface is clean and you can pretty much use IPVanish on most devices including but not limited to MAC, IOS, Android, and other devices. IPVanish provdes an interactive server map so you can select the region you want your IP from. 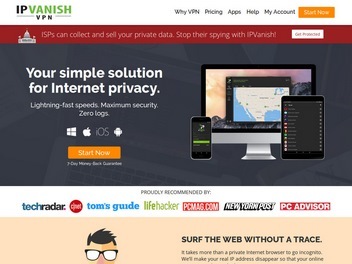 IPVanish has a very easy system to change your IP address and settings easily and quickly. Signup to SaferVPN for Free!